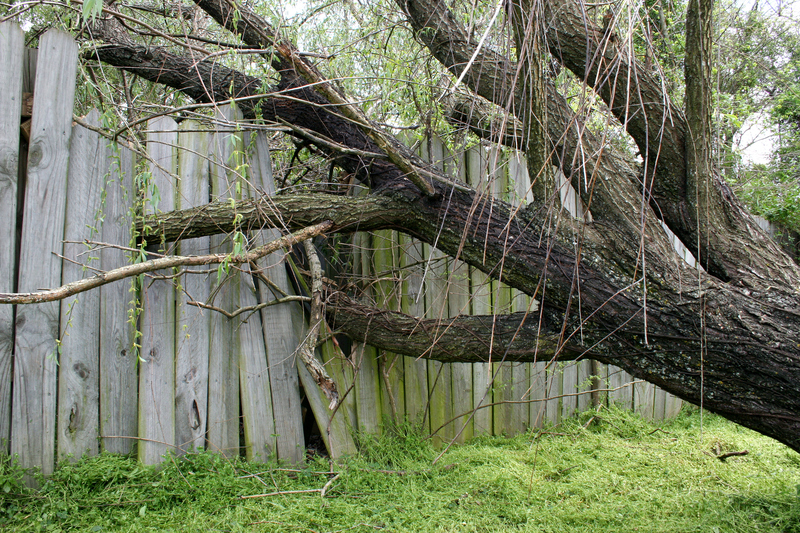 Knowing how to handle your neighbor’s tree falling on your fence will make this potentially stressful occurrence get resolved smoothly. If unfortunately your neighbor’s tree has fallen on your fence, it can lead to a high drama situation. However, knowing how to handle it will make this potentially stressful occurrence get resolved smoothly. With a little know how, you will be more than ready to to take it on the smart way. Below you will find everything you need to know so you can keep a cool head when your neighbor’s tree falls on your fence or in your yard. If your neighbor’s tree has fallen on your property, it is you who is responsible for the damage incurred. Before getting upset, remember that it is very likely that your insurance will cover any damages and the cost of removal as well. It is important to take pictures before the tree is removed, in order to document it for your insurance company. After documenting the damage, call your claims adjuster, and then call a professional removal team. Then repair the fence and go back to enjoying in your beautiful property. After you have completed the process of filing your insurance claim and having the tree removed, take the time to examine the rest of the trees on your property. Make sure they are stable and healthy so you can be sure that your property is secure, or take care of any issues early before they become big problems. Be on the watch for the tell tale signs of diseased trees and branches, such as extensive visible roots, unseasonal discoloration, insect infestation, rotten spots. If you notice any of these signs call a professional tree service. If you notice any infected trees on your neighbor’s yard that are posing a risk, talk to them about it as soon as possible. Make sure they are aware of safety precautions they can take, inspection options, and possible removal. This entry was posted on Thursday, August 18th, 2016 at 7:17 pm. Both comments and pings are currently closed.